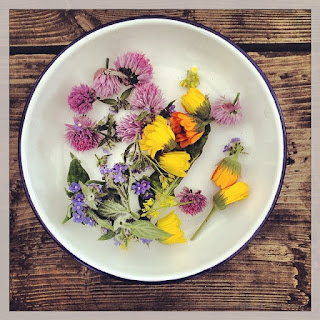 Funthyme is hosting another series of alfresco suppers at Spitalfields City Farm, off Brick Lane, in July and August 2015. It's a 3 course dinner of locally sourced food, with a main from their BBQ for just £35, and it's BYOB. Also, they can arrange private catering in addition to the dates planned, so if you want to plan an event get in touch with them on the links below. "We're thrilled to announce our fifth season of alfresco summer evening supperclubs at our own little urban oasis, Spitalfields City Farm. Guests can look forward to a delicious three course meal featuring a BBQ main course of perhaps twice cooked pork belly with lemon and cumin, harissa lamb chops or dry aged fillet tails with chimichurri. Each meal includes our famous farm foraged salad, a delicate starter, a summery dessert and canapés on arrival. We use as many ingredients as possible from the farm so it doesn't get any more seasonal and locally sourced. It's a BYOB event so please remember to bring a bottle! We can cater for veggies and special diets. Please specify when booking."